It’s easy to feel unwelcome in a place that wasn’t built with you in mind. In many public spaces where the focus remains on attracting families, making play spaces for small children, and creating access for older populations, a question arises: Where do young people come into the picture? Public spaces are vital “third places” for young people; places to exercise newfound independence and explore the world outside of home, work, or school. So, when these places become unwelcoming or even openly hostile to the activities of young people, they can very quickly become a symbol of exclusion. With this in mind, PPS interviewed Setha Low, a cultural anthropologist, professor at The Graduate Center, City University of New York, and author of many books including Rethinking Urban Parks: Public Space and Cultural Diversity (2005) and The Politics of Public Space (2006). 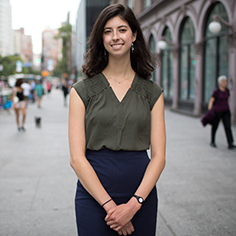 As her ongoing research looks closely at the politics and diversity of use of public spaces, we recently spoke with her about what it means to be young in today’s public spaces. Q: Besides the presence of young people, what are some indicators that signal that a public space is youth-friendly? Do things like social media, internet access, and public wi-fi enhance or hinder inclusion? A: The most important thing for youth in public spaces is flexibility and a sense of welcoming. But nowadays, most of our privatized spaces have a lot of rules, policing, and surveillance; the very things that young people look to avoid. They’re looking for a place where they can hang out and do what they want, and not need to worry about being watched and policed. 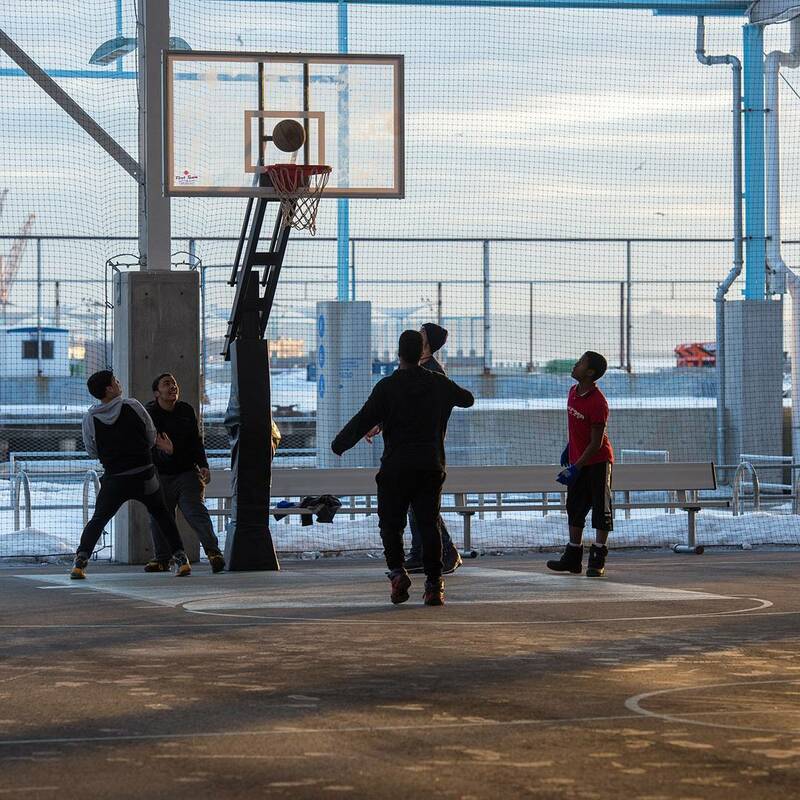 Youth have often said there are two different scenarios that work: one is that there are activities in which they’re interested, like basketball at Brooklyn Bridge Park; and the other is when there are places to sit and watch other young people. So not only does there need to be a place to do things, but also ways to watch each other enjoying the space. Additionally, some of the youth I’ve interviewed have said they want places where they can be separate and on their own. Not secret places, but places where they can retreat and have some privacy. But, first and foremost, it’s about taking away the things that signal to youth that they aren’t wanted. Q: You’ve spoken of specific threats to public space in the past; namely: lack of representation; privatization; social injustice; and securitization. Are any of these of particular concern for young people? A: They all resonate for young people as much as they do for anyone else. I would still argue that privatization and securitization are very high on the list of what pushes young people out of spaces. When it comes to representation, it’s more complicated. What is often meant by representation is having something that welcomes and calls people in, so it differs by culture, gender, and age. Youth are the very first to get pushed out of a space based on a lack of recognition of their differences and needs. There are assumptions made by authorities that the young people in the space are not necessarily going to be buying coffee, and doing things like that — leading to many small microaggressions on youth. This often falls on youth of color, and happens in any environment, but particularly in public spaces. Young people also often have to deal with disrespectful interactions with authorities, and a lack of procedural justice, which means not having a reasonable procedure for how to use a space. Take a playing field, for example. Suddenly you find out that the city has decided to charge $15 to use a soccer field you’ve been using for free in the past. Soon, adults have started paying and using it. 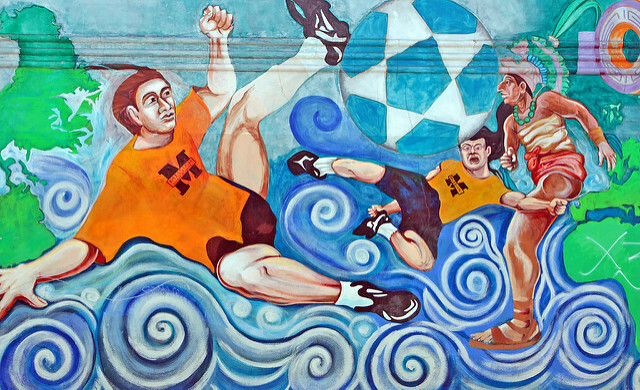 In San Francisco’s Mission District, young people were thrown off soccer fields they’d been using forever, because older people had paid to use the field. The young people actually took this to City Hall and they won. Q: Looking at placemaking as it is practiced nowadays, how do you find that the tools and strategies used either promote or hinder inclusion? A: I think one of the issues with placemaking as it is practiced is that some of it relies a lot on commercial strategies; increasing shops and restaurants to make it lively. That is the very thing that might gentrify an area, and might discourage youth from using those spaces. Q: You’ve mentioned “discussion, cooperation, and at times, conflict” as pieces of civic life that play out in public spaces. How do these three pieces play out differently for young people? A: First, people get anxious if there’s conflict, even though it can be very beneficial. Having differences of opinion and working them out has a positive impact on social solidarity. We usually think of placemaking as cooperation, but there is placemaking in conflict — having that conflict and having it in public. But do we ever allow there to be any conflict? The moment that it does come up, people want to remove young people from a space. There are inherent conflicts in the use of space, and we could be using it in a more positive way instead of making young people leave. A little conflict isn’t a bad thing. Q: How does the question of youth in public spaces speak to broader social justice themes in public spaces? A: A viable public space has to have youth in it. 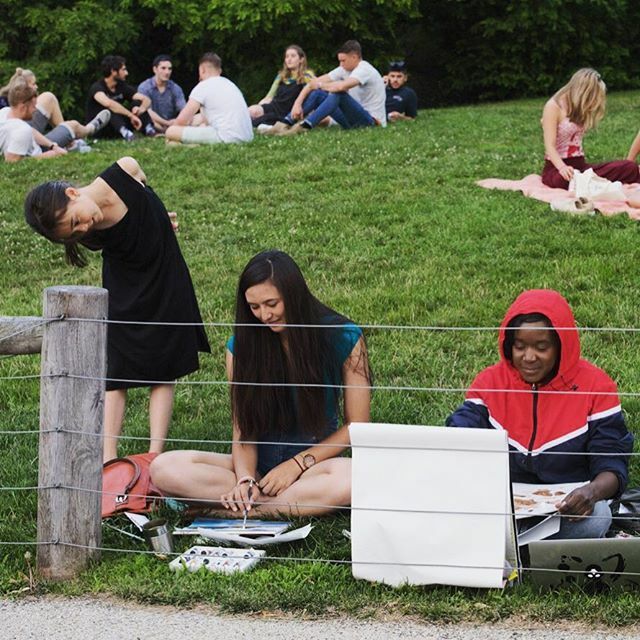 Many of our placemaking strategies push youth who are already using a space out, like adding more things to buy, having family-based activities, attracting people of means, and trying to make it “safer.” We need to think more broadly and consider youth. We think of the elderly and of very young children as vulnerable populations, and yet we’re not really adding in our youth as a consideration. Q: How can placemaking (in its approaches like LQC or community engagement) be shaped to address the threats to public space that you identify? A: I don’t think anything is inherently in our strategies that’s threatening it, but we need to attend to the unintended consequences. Say you work in a space and the people want more police, what we have to do is make sure that there are youth at the table, allow them to speak and say “this isn’t going to make it better for us, it’ll keep us out of there.” When they’re left out, they feel very left out. Being sensitive to the risks is the best way — being aware that certain kinds of placemaking solutions don’t work for young people. It’s not like we have to change everything, but we need to see that they have different needs and feel differently about the process. For example, we need to bring different age groups together without policing. You hear of older people worried about younger people in spaces — what do you do with that as a placemaker? It brings to a head what exclusion is all about. Q: Education - What are the skills with which our society should be equipping young people to improve public spaces? How can young people best face the political and bureaucratic obstacles facing them in improving public spaces? A: Organize. They become part of the builders, constructors, thinkers, and we put them at the center. Youth in most of the countries where I’m working are the ones who are building the public spaces themselves. Does Placemaking Cause Gentrification? It's Complicated.